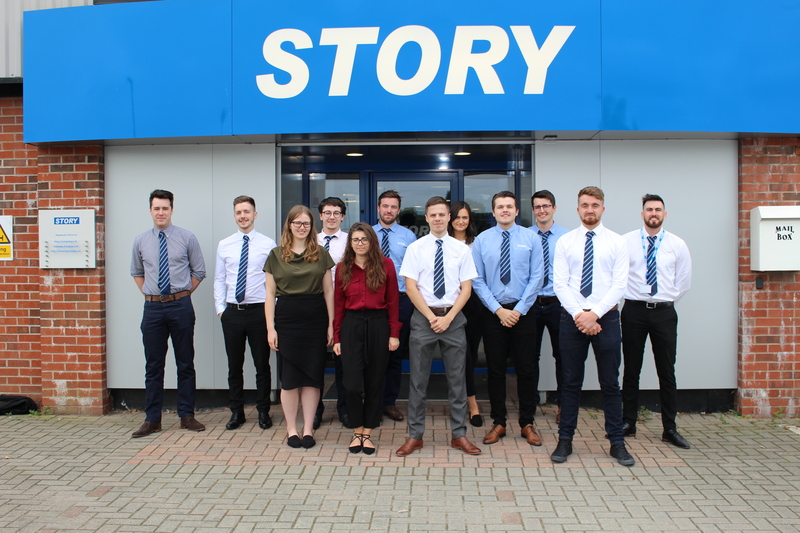 Story Contracting has welcomed its biggest ever intake of graduates, trainees and apprentices – and plans to take on even more next year. Seven graduate engineers, 13 apprentices and eight trainees took part in week-long inductions before heading into their chosen careers. 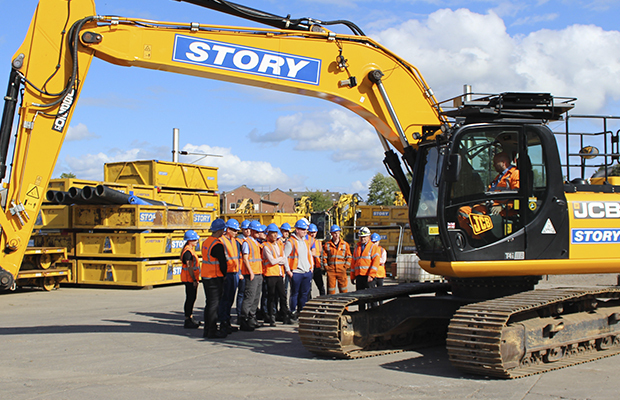 The 28 graduates, trainees and apprentices participated in a range of team-building exercises and training including manual handling, excavation safety and banksman training. They also visited housing and manufacturing sites and met up with owner and chairman Fred Story. The intake was across all five of the company’s divisions. The company also took on a trainee IT support technician to work out of its headquarters in Carlisle. Graduate engineer Graham McKenzie will be working from the company’s offices at Uddingston near Glasgow. Another graduate engineer, Claudia Hanson, headed off to work from Story’s Chorley office after her induction week. Tanya Moxon, head of training and development at Story, was delighted with how the whole process went. She said: “I was really encouraged by the enthusiasm and commitment they all showed as they started their journeys with us. Chelsea Murray, 21, was a care worker before joining Story as an apprentice plant operator in Carlisle. Rob Bauld, 32, decided on changing his career and thought the best way to do that was to join Story as an apprentice plant operator.